ExtraKun offering a random piece of bitter chocolate for all you WAY fans out there. Collaborating with my good friend Unnichan on some question we have and will respond to now that the show has come to an end. If you have not completed the show, please wait to read this post—it will be filled with spoilers and information on the show as a whole! Please feel free to read part 1 on her page http://withsubsplease.wordpress.com/2013/09/20/the-distractors-cut-who-are-you-final-1/. Do you think that WAY was scary? Were you scared or afraid at any point in the show? The most frightening thing about Who Are You was the writer’s unimaginative follow through. Other than that, there’s nothing “scary” about it. I always felt that it tried to be frightening but failed by being too heavy-handed, whether with directing, editing, score or acting. I felt as though I was constantly being told to be scared rather than given the opportunity to get there on my own. I’m not easily frightened generally but there wasn’t ever a time I even took the drama seriously enough to be spooked. Si Ohn was scared enough (to my annoyance oft times) for the both of us. I agree, as far as the show goes there was nothing that was remotely scary about it—people knew that the show was going to have ghost in it because Kim Jae Wook’s character (Detective Lee Hyung Joon) was dead. When the story tells you everything in advanced, there is never a moment to get scared. You know what? There was something scary about the drama—Cha Gun Woo! His constant ability to disappoint me (even when my impression of him was already dwindling to low) is quite scary. Even to the last episode he found a new way to scare and piss me off. Was there ever a point you felt like this drama could have been another drama? If so what would it look like? Nah. I rarely do that with drama. I usually try to stay in the moment with the drama itself and not dwell on “what ifs” and “could have beens.” But I admit I had a few bouts last year, where I realized the drama I was watching, wasn’t the drama I wanted it to be, however, I wouldn’t place Who Are You in the category. My overall issue with this drama was how basic the narrative continued to be. 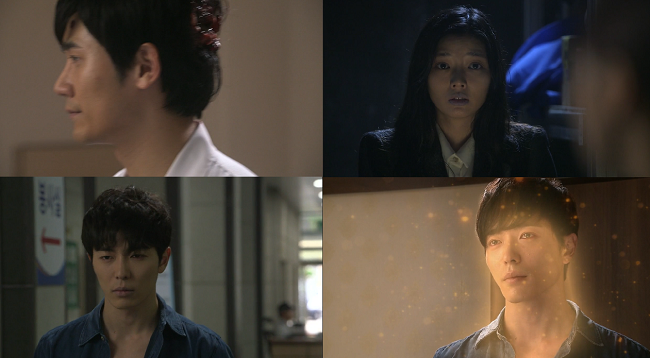 Mystery/suspense/whodunit are sub-genres that I love because it gives the audience license to examine and hypothesize to an extent but this drama laid all its hands pretty bare from the very beginning (episode one). 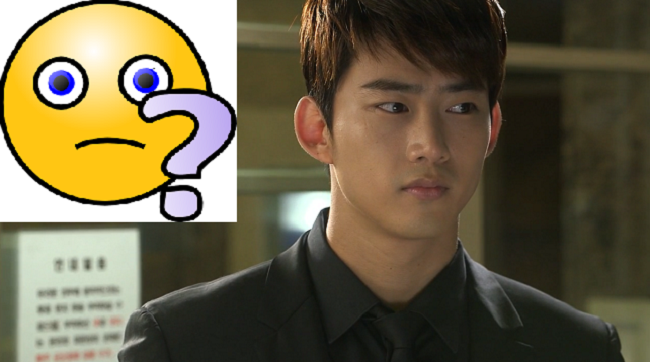 I find myself not enjoying dramas that take six steps to get to a conclusion I got to in one. And this was a glaring flaw with this drama. No surprises. No frills. Which sucked the fun out of it relatively quickly. I disagree. We all know that I have an overactive imagination which I call “ExtraKun’s world of endless possibilities”. 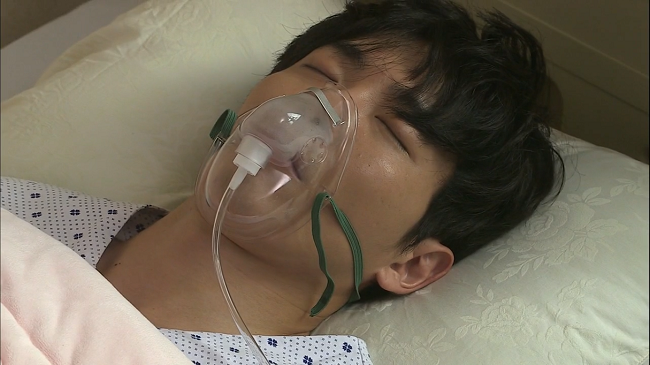 I was hoping Si Ohn would die and float off with Hyung Joon Oppa by episode 6! With that being said, I am not certain if this drama needed to be another drama, but it could have added some elements that made me care. I was already checked out less than halfway through the show because we already knew how everything was going to unfold. I am convinced this drama could have been done in a 2 week 4 episodes special—probably would have enjoyed it more that way! Would you change the ending of this drama? Do you think the ending would have been better if Lee Hyung Joon had lived? I’ve always known that Hyung Joon would die, so that was never an option, him living. The entire drama it’s been understood that the story was predicated on Si Ohn solving the crime and releasing Hyung Joon or giving Hyung Joon the peace to leave (die), therefore, anything beyond that really would’ve made no sense. But could the ending have been better? Absolutely. How? Who knows? I think the problem never had to do with allowing Hyung Joon to live but began with creating an emotional investment about those that lived, once he died. The story was hollow once he “gold rushed” away. So all I can say is that the ending, in and of itself, wasn’t the real problem. It was the breakdown and unevenness of character and plot development throughout the last half of the drama. It’s something that you notice all along but hold out hope it will be corrected or smoothed over as the show wraps up. But that never occurred, therefore, the drama ends and you realize you really didn’t care about 90% of what transpired in the present day or actually, on camera. I am forced to ask the question to this question, “What good would it do if Hyung Joon lived?” Lord knows I think that Hyung Joon Oppa was the perfect man for Si Ohn until the bitter end; but the show told me in episode one that this was not a love story between Hyung Joon as Si Ohn. With that knowledge, I am fine with his death and resolved in why he had to die. The end of the show for me was episode 15 since all I cared about was Hyung Joon finding peace so he could pass over. Of course the ending could have been different. As many KDrama’s I have seen in the last few years, I only can name like 5 that had the perfect ending! I don’t care how they would have ended the drama; if it didn’t involve Lee Hyung Joon- I was over it. What are things that you enjoyed about this drama? Would you recommend it to someone else? Certainly, every flashback, memory and moment between Hyung Joon and Si Ohn, they were magic. My favorite but most heart-wrenching had to be the house “floor plan.” He jokes, he thought her “dream” was to marry him and she laughs in his face. That was priceless. Truly flawless, raw and so real together. Loved it! Recommendations are tricky because one man’s malice is another man’s mettle. I think that Who Are You started out well and if you are a fan of Kim Jae Wook or want to see him at his best, I’d certainly point you in this direction. He was the only thing that kept this drama on course and I was always in the moment with him. His portrayal was excellent and I truly believe it was all him, with little guidance. Oh hands down I loved every moment with Lee Hyung Joon! I hate to keep throwing it out there, but he really was the best thing about this show! 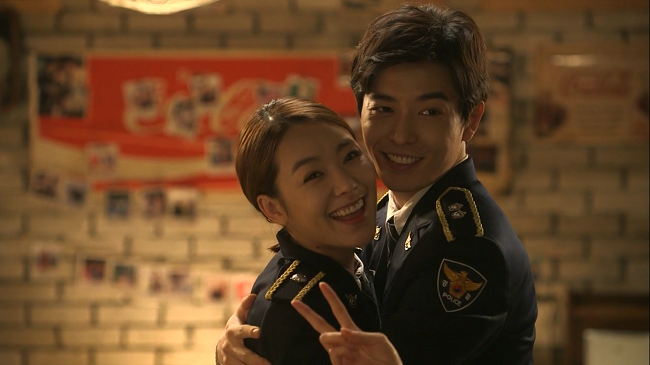 Kim Jae Wook and So Yi Hyun chemistry was electric—another reason you kind of wish that their characters would end up together at the end. I agree with Eonni that if you love Kim Jae Wook, it is worth the watch solely for him. The elementary writing and plot made it hard to tell anyone to watch for enjoyment of the story. What are your feelings on the character development in this drama? Did you feel there was any? If there was a character that grew in this drama, or at least one the Drama wanted us to believe was developed, I’d say that was Si Ohn. I wasn’t completely convinced overall but I’d say that So Yi Hyun did what the culmination of her skill can allow. She was able to give us steps in the right direction most of the time and though I’m not sure the writer knew what they really wanted her to “feel,” she made strides and decisions that made sense within what was given in the narrative. The other characters were just filler to her transition and Lee Hyung Joon’s release into eternity. I wasn’t a fan of how Cha Gun Woo was written (or portrayed, for that matter). He remained stagnant and any dialogue he was given on the romantic or emotional side was nonsensical at best. I understood what the writer wanted, but was never fluid. I personally did not feel any growth of the characters through the storyline. I think the writer just pieced together some action or moment that was supposed to make us as the audience believe there was growth, but in reality I got nothing (Ooohhh… I sound like The Script). The only thing that really changed was Hyung Joon crossing over so he could finally rest. Gun Woo was still the Dongsaeng chasing after Noona, and Si Ohn was able to move on the Gun Woo because the show tried it’s damnest to make us believe he was the man that can love her but he is NOT Lee Hyung Joon. Though the show failed at making me believer, I am certain somewhere out there; someone loved Gun Woo more than Hyung Joon Oppa (Surprised face). In words 20 or less, how would you “rate” this drama? Good, Bad, Lacking, etc. Who Are You was an entertaining but elementary procedural crime drama, which lived and died with Kim Jae Wook’s performance. Who Are You should be watched by every Jae Wook groupie ho… I have no more words. I have (had) this on my to-watch-list, this review pretty much solidified it for me- this drama sounds like the plot was propped up on a shaky premise. Not sure if I will ever see it, but I appreciate the in depth analysis from both of you (to steer me in the right direction)! Thank you Hanshi Unnichan and Sensei E-Kun (eternal love from the grasshopper Lore)! We do what we can. But honestly, if you have never seen Kim Jae Wook in anything take a look. You will understand why he is my Actor of the month.